Published: Sept. 25, 2018 at 06:27 a.m. 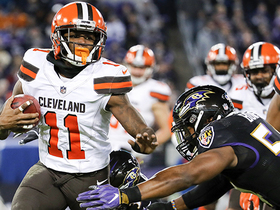 Updated: Sept. 25, 2018 at 02:17 p.m.
BEREA, Ohio -- Cleveland Browns coach Hue Jackson caught a couple news cycles' worth of flak for saying he wanted to watch the tape before naming a starting quarterback in light of Tyrod Taylor's concussion and No. 1 overall pick Baker Mayfield's invigorating debut last week. So you can only imagine the response had Jackson strolled to the podium here Monday and said anything other than this is now Mayfield's team, for Sunday's visit to Oakland and beyond. "Did I feel like I had a choice?" Jackson said, repeating my question near the end of what had to be his most popular media session in two-plus seasons on the job. "I do not think that matters to me. I think today I am giving you guys the choice that was made, whether it was going to be a riot here, as people said, or whatever. It is what it is. This guy is the quarterback, and on we go." Jackson opened his remarks by saying "opportunities to play quarterback in the National Football League come in a lot of different ways." That's really the best way to explain how a brain trust that had spoken since draft day about letting Mayfield sit and develop the right way behind Taylor in 2018 ended up making an easy choice to celebrate its first win in 635 days by scrapping the plan three weeks into the regular season. Team officials I spoke with before Monday's announcement gave the impression they were baffled there was even any hype surrounding the big reveal. 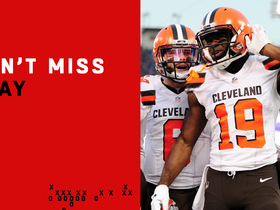 Because no matter how Jackson (as most coaches would) hedged publicly right after the game, just a couple of hours after Taylor was injured, they saw the same thing everyone else did Thursday night: that Mayfield, in his first regular-season NFL action, looked totally comfortable and confident while completing 17 of 23 passes for 201 yards and rallying the Browns back from a 14-point deficit. Put simply, the game doesn't look too big for Mayfield. The instincts, arm and energy NFL scouts and coaches spoke about before the draft showed up immediately. One quarterbacks coach for a different team texted me, unprompted, after Thursday's game to say Mayfield has "a real chance." Browns tight end David Njoku said Monday that Mayfield "looked like a grown man." And that's where the message of starting Mayfield matters most right now: with a locker room that knows all too well how hard wins are to get. Jackson and Browns general manager John Dorsey had said consistently that Taylor was their guy for 2018 -- for the betterment of both the organization and Mayfield, Dorsey told me last month, so that when it comes time to play, he "understands the complexities of a very difficult position." Jackson told me the same day that the Browns owed it to Mayfield to let him "hit the ground running with a team around him that he can go win with." Which was all sound reasoning, until Mayfield won a game with this team, right now, after Taylor spotted the Jets two touchdowns and heard boos as his season stat line dipped to 5.5 yards per pass and a 63.7 passer rating. "There was a stark difference in how we performed when [Mayfield] got in there," Jackson said Monday. At the same time, let's maintain perspective on a little over two quarters of regular season football. As one GM put it to me recently: "Everybody wants to jump to conclusions. Sam Darnold Week 1 plays a [struggling] Detroit team and they crown him the savior. And he may well be at some point. Now Baker Mayfield after [Thursday] night after he played the Jets defense, which isn't much better. Jimmy Garoppolo after five games last year, it was St. Jimmy. These young QBs are gonna go through adversity. They have some good games, they have some bad games. But they're not going to be putting up six touchdowns a week. 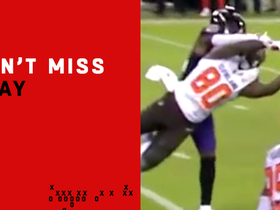 Sometimes, once they start to play a little bit and defensive coordinators and people in the division, personnel-wise, see what they're doing and how to stop him, then it's on the quarterback to get through that type of stuff." In other words, Mayfield still has that learning process to go through. He'll just do it on the field on game day, and with the first string in practice, too. "It is nice to get reps and to slowly build that timing and chemistry," Mayfield said Monday. "To be able to do that, you start to get into a rhythm. I am happy with how I played without any reps. Right now, I have very, very high expectations for myself, having a full week of practice of being able to get those reps with the offense. We should be in-tune by Sunday and be ready to go." Mayfield will be the Browns' 30th starting quarterback since the franchise's 1999 reboot and the seventh since Jackson became coach in 2016. Jackson said this change feels different, because they're turning to the hand-picked future of the franchise -- one more reason packing up and leaving town would've been a more popular decision around here than sending Mayfield back to the bench any longer. Jackson acknowledged Mayfield "absolutely" is starting sooner than expected and attributed that, in part, to the Browns' slow start on offense. But reminded of all those offseason proclamations, Jackson made clear the decision wasn't solely based on Mayfield's relief effort against the Jets -- though that certainly made Monday's choice, if you can call it a choice, a clear-cut one. "I started seeing it in practice," Jackson said. "That is why I made him the (top) backup. You could just see that he was growing. I did not want to put a timetable on it, because I did not know how it was going to happen or when it was going to happen, but we kept dialoging, talking about myself and John (Dorsey) every week, talking about the game and talking about just what we saw in Baker at practice. I would always try to give him extra reps in practice at the end of practice. You continued to see him growing and just getting better. "I am not surprised by what he did in the game. I think a lot of other people are. I do not think that his teammates are. I do not think that the coaches are. I think that we knew, once he got his opportunity, he would go in there and nail it. That is what he did."